Libraries have long been community gathering spaces where all members of society can gather around the pursuit of knowledge or the entertainment of a good read. But the outmoded function of the library as a giant warehouse for physical books means that architects are now obliged to focus on designing tech-forward, eco-friendly community hubs to keep them viable in a digital world. 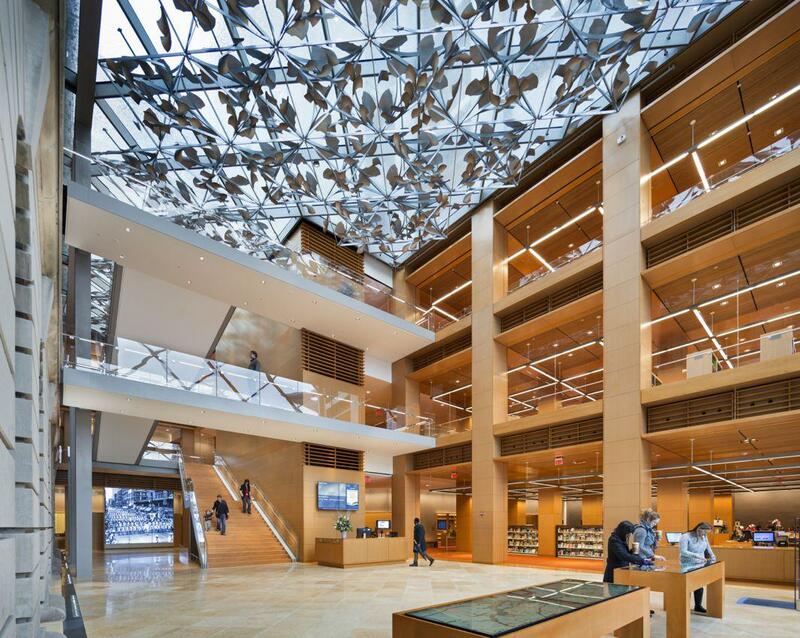 The AIA/ALA Library Building Awards—a collaboration between the American Institute of Architects and the American Library Association—began recognizing excellence in library design in 1963. This year’s six winners, announced earlier this month, represent a range of builds and renovations of existing structures that respond to the individual needs of communities but share the same kind of next-generation design that hopefully will keep libraries at the heart of communities for years to come. After Cedar Rapids lost its public library to flood damage in 2008, the city built a new one located near public transport and bike trails. 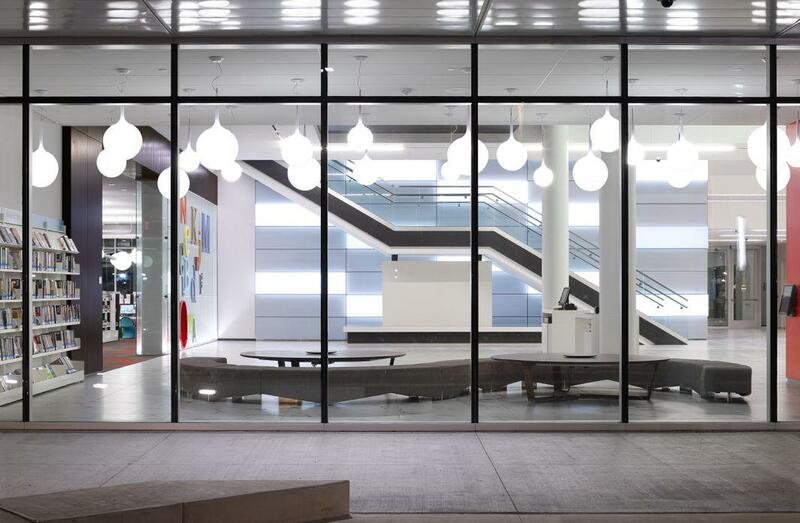 Located in front of the city’s main park and near the Cedar Rapids Museum of Art, the building façade has wraparound, floor-to-ceiling glass to make library activity visible to pedestrians. The library’s director wanted the building to function “more like an Apple Store and less like the DMV,” according to a project description, so the designers used low book shelving for an airy feel, replaced a main circulation desk with staff kiosks throughout, and incorporated RFID technology for tracking inventory and checkout. 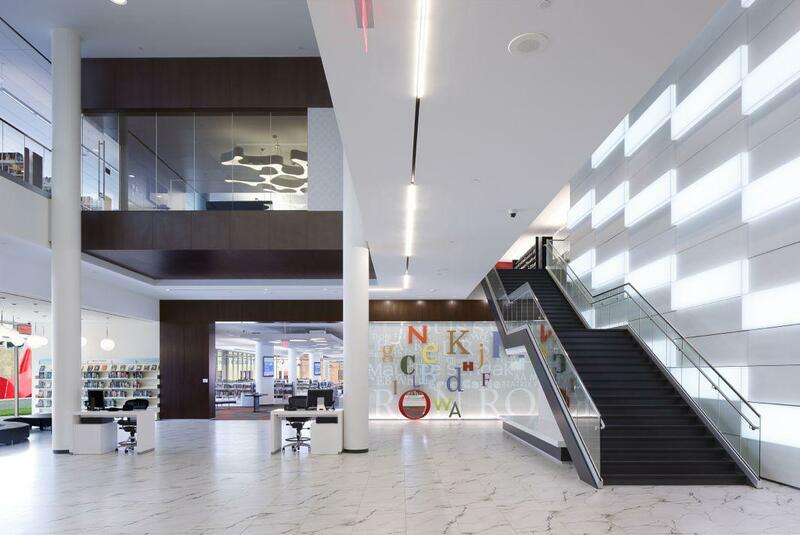 Thanks to an eco-friendly design—which includes digital displays that track water and energy use—the new library is 10,000 square feet larger than its predecessor but uses less than one-third of the energy per square foot. Hillary Rodham Clinton Children’s Library and Learning Center in Little Rock, Arkansas. 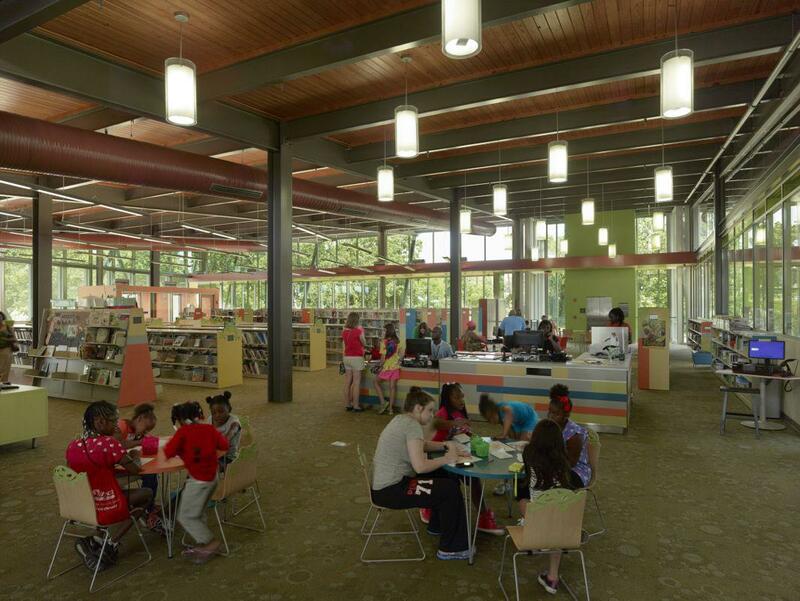 Conceived as an urban renewal project and calling itself a “community embedded, supportive learning center,” this children’s library includes a teaching kitchen, greenhouse, vegetable garden, and arboretum where kids can learn to grow and cook healthy food. A full-time educator teaches programs on how to manage water use and resources, and smart monitors in the lobby display real-time water and energy use stats to raise awareness and use as a learning tool. The Mission Branch Library in San Antonio is built on the site of a former drive-in theater. 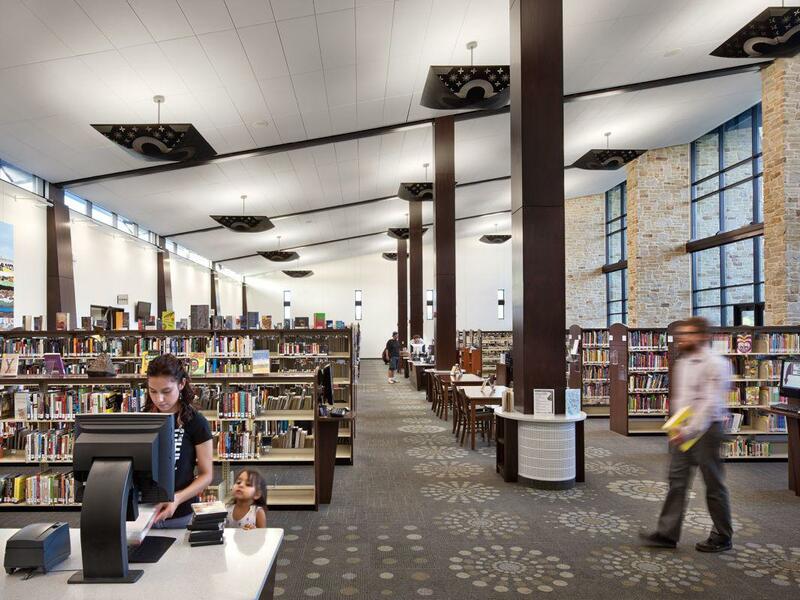 This single-story library built on the site of what was once a drive-in theater in an underserved part of San Antonio includes a 30-foot-tall reading room. A focus on local historical materials—including oversize copper-clad doors, locally sourced sandstone wainscoting, white stucco, and a roof covered with locally made clay tiles—references materials found on the adjacent Mission San Jose, visible from a wall of windows. The library is the first in Texas to use a displacement ventilation design for its HVAC system, reducing energy consumption and noise. Vancouver Community Library in Washington. This Washington state library was moved from the suburbs to the city’s busy commercial center. It includes a 200-foot-long, four-story atrium and garden with a roof terrace as well as lounges, rooms dedicated to teenagers, interactive early learning children’s spaces, individual study pods, and a 150-person conference room. The building was constructed to be futureproof for 100 years, with a raised access floor system that allows spaces to be reconfigured or updated as technologies change. Slover Library in Norfolk, Virginia. Sculptural botanical-inspired ornamentation conceived by Kent Bloomer is used throughout the space, which has state-of-the-art rooms to house its historical collection and uses a steel-and-concrete raised floor that increases energy efficiency and will allow the power and data infrastructure of the building to be updated without heavy renovations. The midcentury modern Claire T. Carney Library at the University of Massachusetts–Dartmouth was designed by Paul Rudolph and recently renovated to meet the needs of today’s students. The 170,000-square-foot concrete midcentury modern academic library at the University of Massachusetts–Dartmouth, a Brutalist building by Paul Rudolph that was conceived when the school was a commuter college, was renovated rather than torn down, halving the cost of a new structure. 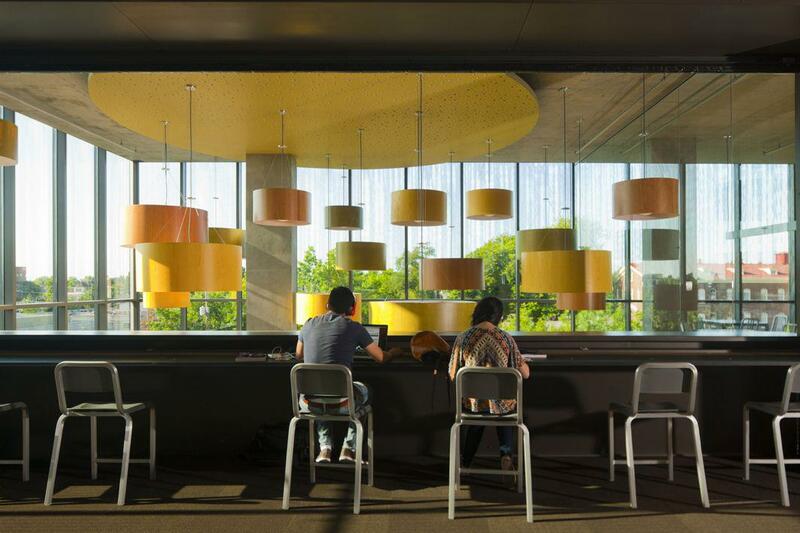 Half of the library’s collections were moved to the basement, a series of collaborative workspaces were created, and a glass-enclosed “campus living room” was added to better fit the needs of today’s students. 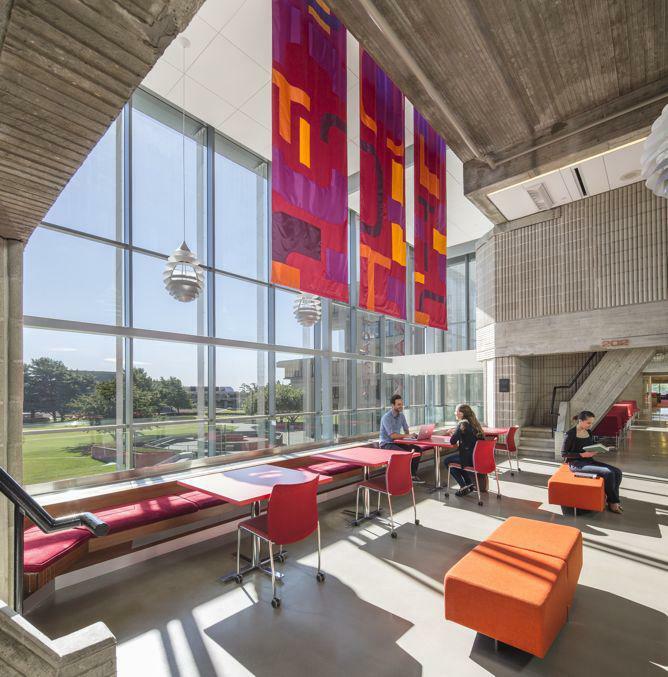 The architects used metal sunshades and glazing to improve energy efficiency while respecting the character of the building, and they used vibrant colors and patterns from the original design in new ways to differentiate spaces within.